White Shark Ventures | Why Us? 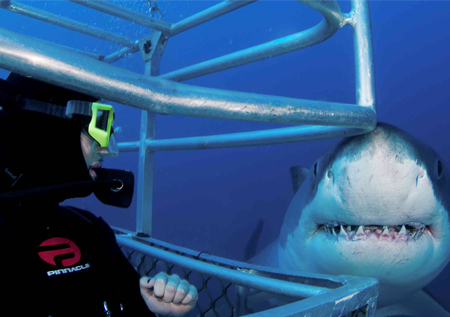 Established in 1991 (when shark cage diving was unknown at Dyer Island), White Shark Ventures became one of the first companies to offer shark viewing / diving tours in the channel at Dyer Island. This has earned us the title of industry leaders, as well as the oldest and most experienced shark cage diving operator in the field. The company has gone from strength to strength and while we own one of the largest and most comfortable boats in the industry, we pride ourselves in catering for smaller exclusive groups which allows for more space and comfort on board. Our tours are not only highly educational, but we also actively participate in documenting valuable research information on great white sharks, which is forwarded to Department of Environmental Affairs and various Marine Biologists world-wide. Our company was the founders of the Great White Shark Protection Foundation, a body dedicated to the protection and preservation of the great white shark globally. 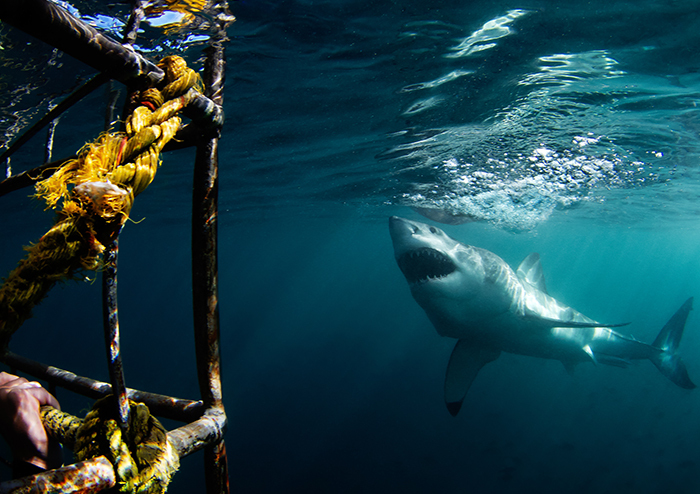 Government Department of Environmental and Tourism have issued 13 permits to evaluated and approved commercial shark cage diving and viewing operators who applied for permits in Gansbaai, Mossel Bay, False Bay and Quinn Point. Gansbaai is the only area where we can guarantee shark sightings throughout the year. WSV obtained the highest score during the adjudication permit process. Our directors consist of Cindy Thornhill, Mariette Hopley and Francis Saul. Our company is Black Economically Empowered, since we believe in gender and race equality as well as job creation in order to fight poverty in South Africa. 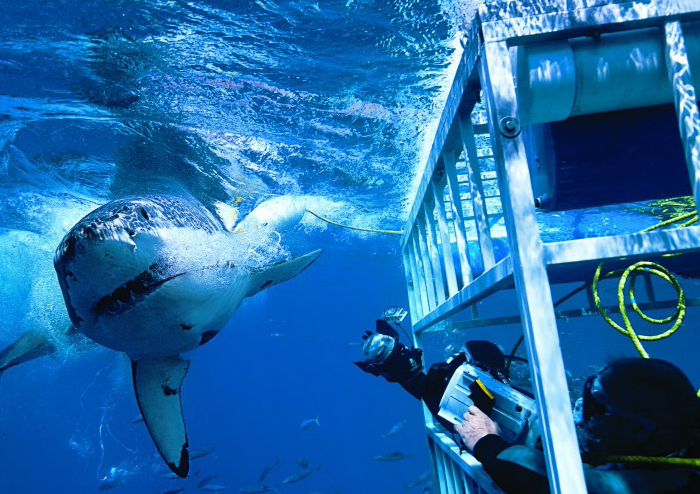 Cindy Thornhill, a Business Administration Manager and one of the founders / pioneers of white shark cage diving in South Africa, played a vital role in establishing the shark cage diving industry more than 20 years ago. With a passion for wildlife as well as domestic animals, she has been actively involved in animal welfare projects throughout her career on a global scale. Francis Saul is a qualified Human Resources graduate who dedicates her time to ensuring that staff line and communication functions within the company remains in order. Apart from looking after good relationships within the company, she also plays an active role in animal welfare and rehabilitation within the community. Mariette Hopley is a Public Relations & Business Administration Graduate. She is a conservationist at heart and Chairlady of the Board of Directors of SANCCOB (South African National Foundation for the Conservation of Coastal Birds) in South Africa. She currently still serves as board director for SANCCOB and is also the ex Chairlady and Founder of the Great White Shark Protection Foundation for the past 12 years. Mariette is regarded by Global Wildlife NGO’s as one of only two logistical managers qualified to set-up satellite rehabilitation centres for marine and other wildlife disasters globally. 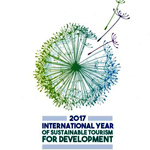 Mariette regularly attends the “Effects of Oil on Wildlife” Conference, as she remains a key roleplayer in the rehabilitation of marine wildlife. Exclusive welcoming facilities directly on the ocean, with unspoiled sea views! Our company has obtained the highest insurance cover available. We cater for smaller groups of max 25 passengers, ensuring that your experience is a comfortable, personal and educational one. We are the only shark diving company in possession of a Road Transport Permit, legally entitling us to carry paying passengers on our buses. Join us for an adventure of a lifetime. Book directly with the shark dive operator and save. Our crew has the highest qualifications in the industry and due to years of service, are also the most experienced. Our skipper is the longest employed skipper in the shark cage diving industry and knows the sea and its conditions like the back of his hand. 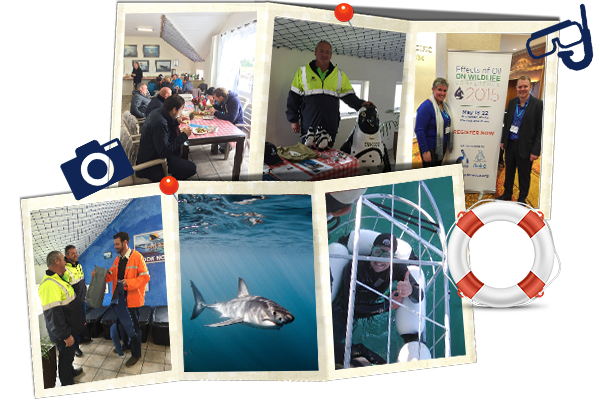 Most of our crew have remained in our employ for the past 20 years, a guarantee that their knowledge of the sea, its conditions and the sharks are the best you will find.